Something about William Eggleston's photographs makes them perfect for album covers. Perhaps it is their uneasy mood, or that they are nonspecific enough to be easily re-appropriated. Maybe it's that as his work is gradually acknowledged to hold a more seminal role in contemporary photography, the music scene tags along. Or maybe he just has musical pals or an agent with good connections. Whatever it is, Eggleston must hold the record (pun intended) for the largest number of noncommissioned album covers. Many of these were on display at his Whitney show last winter. For those of us who couldn't attend, what follows is a short survey of his album covers. I'm probably missing some covers, and I know I'm missing the titles and dates of a few photos. If anyone out there can help with additional info I'd be obliged. 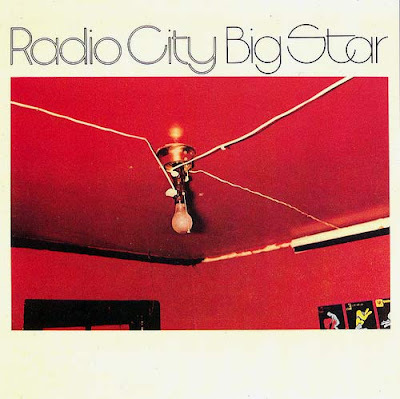 Eggleston's first cover was the classic Big Star album Radio City released in 1974. 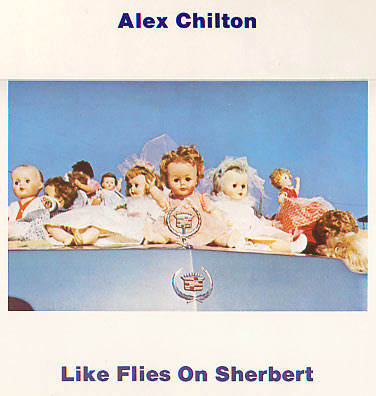 Lead singer Alex Chilton knew Eggleston from the Memphis arts scene and was an early champion of his work. Although the photograph (Greenwood, Mississippi, 1973) has since become very well known, it was relatively obscure at the time. Eggleston hadn't had his MOMA show yet, color was still vulgar, and the choice of photo was fairly radical. Chilton later used Eggleston's 1970 hood ornament shot from the Los Alamos series as the cover of a solo album. 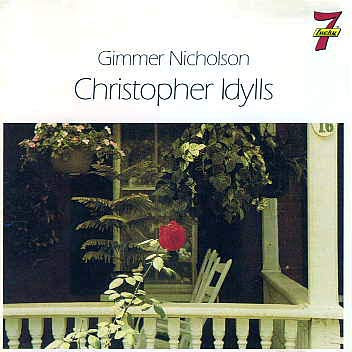 Eggleston's Memphis connections helped him onto the cover of Gimmer Nicholson's album Christopher Idylls. The album was produced in 1968 by longtime Memphis friend and fellow photographer Terry Manning (Eggleston helped Manning edit the photography on his 1970 album Home Sweet Home) but not released until the late 70s on limited edition vinyl and 1994 on CD. I don't know the title or date of the photo. The 80s seem to have been Eggleston's missing years (as they were for so many of us). 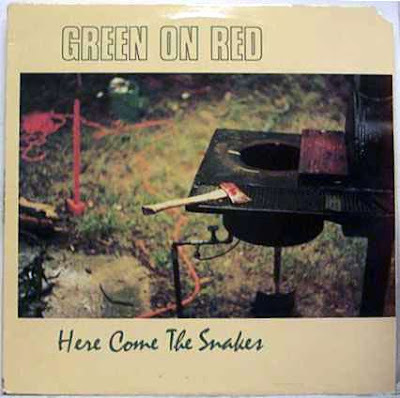 He published no books or album covers until the end of the decade, when Green on Red put Near the River at Greenville Mississippi, c. 1983-86 on the cover of Here Come the Snakes (released the same year as his monograph Democratic Forest). 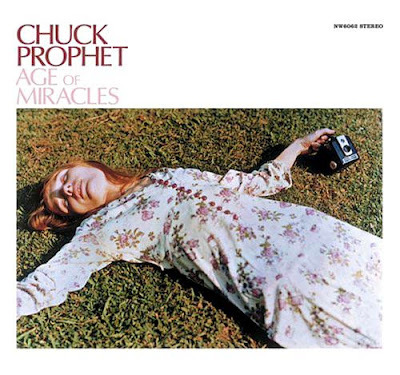 The Green On Red cover photo was probably spurred by band guitarist Chuck Prophet, an Eggleston fan who later used this 1975 image for the cover of his solo album Age of Miracles. 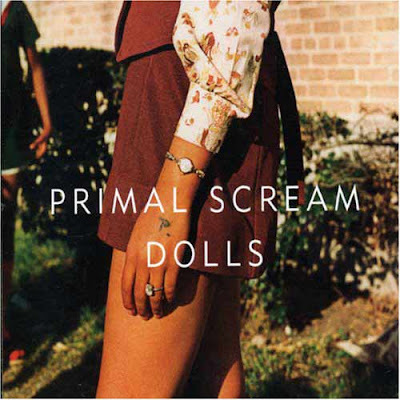 Scottish band Primal Scream used a cropped version of an Eggleston photograph (c. 1971-73 from the Troubled Waters series) for the cover of Give Out But Don't Give Up. ...and a cropped Los Alamos photo for Dolls. Until the new millennium, Eggleston's album covers came about through personal connections or fan base. 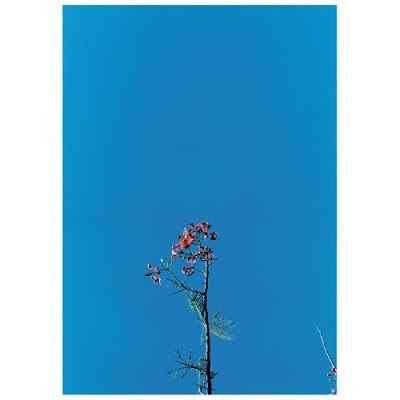 As Eggleston has gained increasing notoriety in the past decade and become something of a crossover cultural star, his photographs have become a sort of high-brow stock catalog, appearing on a variety of album and book covers with little or no connection to Eggleston. 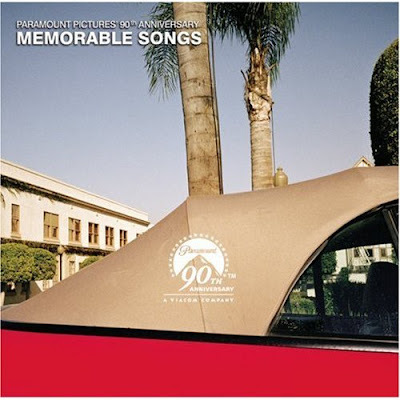 Jimmy Eat World's Bleed American is probably the most successful Eggleston covered album in terms of raw sales, some small percentage of which must be due to photographers seeking out the cover's cropped version of Memphis, Tennessee, 1968. 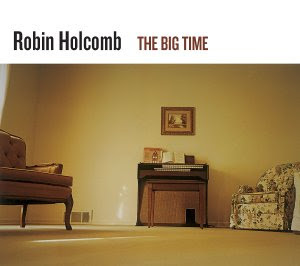 Robin Holcomb used Eggleston's Southhaven, Mississippi, 1980 for the cover of The Big Time. Next came this anniversary compilation from Paramount. 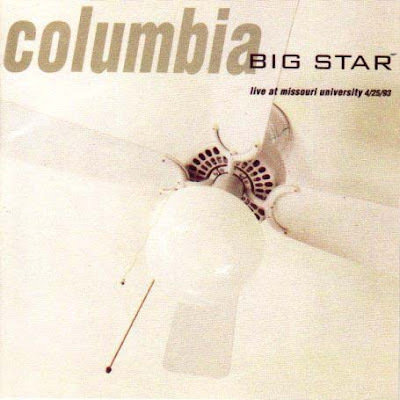 I haven't heard this album and I'm not sure I want to. I don't recognize the photograph although sources say it is Eggleston. 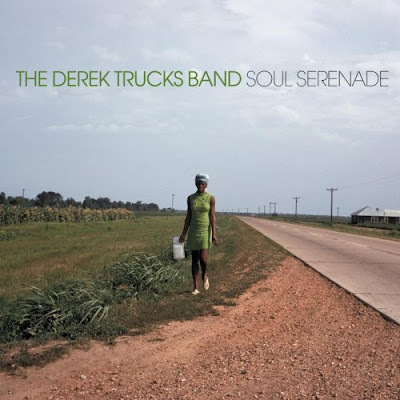 The Derek Trucks Band used a cropped version of Near Minter City and Glendora, Mississippi, c. 1969-70 from Eggleston's Guide for Soul Serenade. The band, the photo, and Eggleston share Southern roots which is probably why the image was chosen. 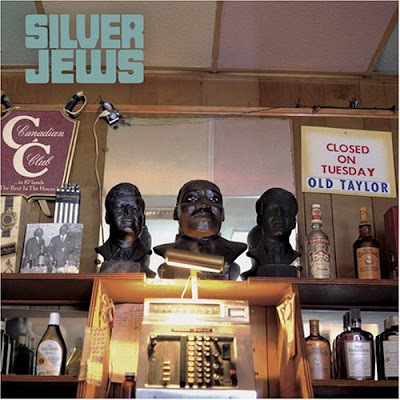 Forgetting about photography for a moment, the music on Tanglewood Numbers by Silver Jews is my favorite of any Eggleston cover album. Singer Dave Berman, as dark and poetic as ever, is joined by wife Cassie on vocals and bass and a roving lineup including Stephen Malkmus and Will Oldham. The cover photograph from 1971 features busts of JFK, MLK, and RFK in an arrangement that seems distinctively Eggleston, not to mention the album was recorded in his home state. Wonderful post, thanks so much for this! The picture of the ceiling fan is titled "Washington, D.C., 1990", it's from the Hasselblad Award 1998 book. This is a well-researched post. You might be interested to know that Eggleston shot the white ceiling fan in William Christenberry's home. And yes, all the photographs you featured here (including the organ) are Egglestons. Thanks for the tip about Dixie Narco, Mike. Do you know the name of the photo? Below are some other albums that I considered as possible Eggleston covers. I didn't include them because I couldn't positively id any of the covers as his. If anyone out there has info on these albums, please let me know. 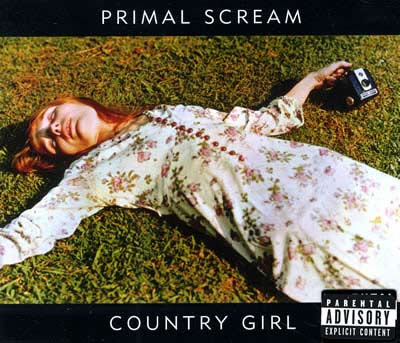 looks like its from the same shoot as the Primal Scream and Chuck Prophet covers. The vinyl re-issue of Radio City with the band on the front cover was also taken by Eggleston. It is about photography used as illustration on book covers. Great post, Blake. I enjoyed checking this out immensely. Thanks! Blake, in response to your last comment: Only the first link is an Eggleston. A new one: Spoon's Transference, due out in January, uses a print I haven't seen elsewhere: "Sumner, Mississippi, c. 1970." 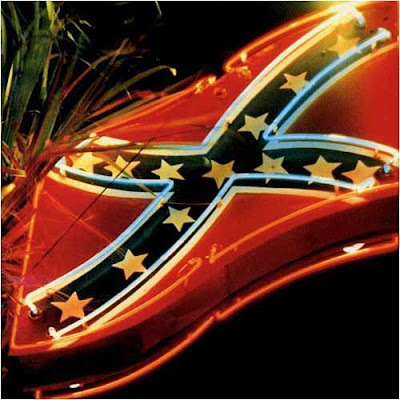 I remember a post in another blog which compiled a series of album covers made by famous photographers, but I can't find it. Do any of you remember it? I'm not sure if that Green on Red cover is by Eggleston. It looks possible but I don't recognize the photo and can't confirm if it is or isn't by him. Brilliant, didn't know Y's was an Eggleston photograph, but I did like the cover. Thanks for the post. It was very interesting to read. I enjoyed it a lot. very nice and interesting photos. this is a well build up post.,its wonderfully written.,thanks and keep it up! green on red killer inside me photo is by ian dawson - just looked at the cover and credits. 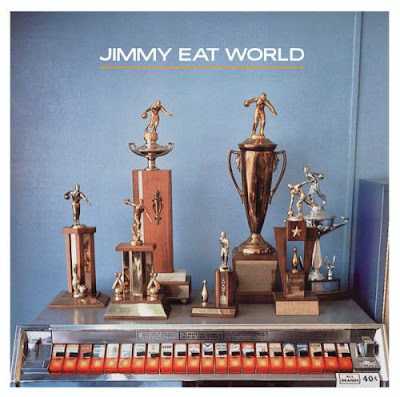 Jimmy Eat World's "Invented" also features another one of Eggleston's pictures.